In the summer of 1863, humanity itself is under siege. 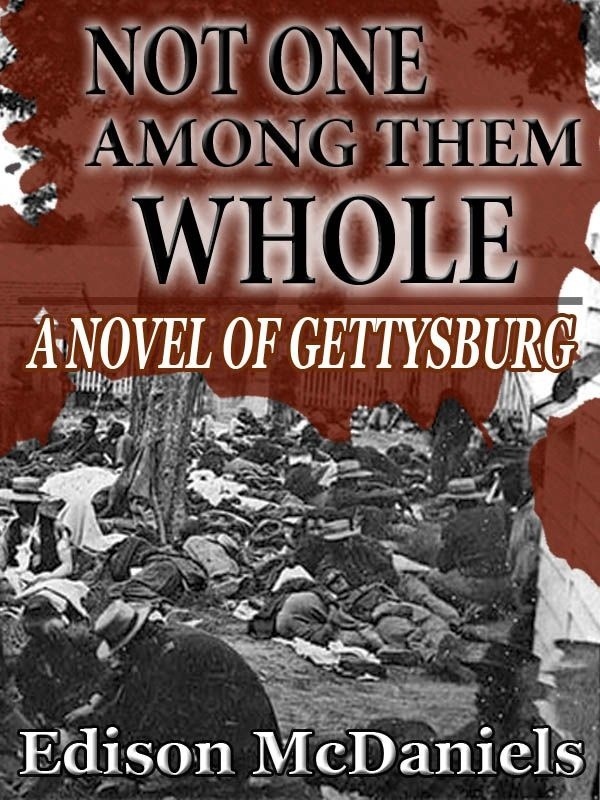 What happens amid the carnage and human flotsam of Gettysburg, Pennsylvania, will be unholy, unnerving, and all but unbearable, with only this certain: not one among them will escape unscathed. Here, for the living, hell is in session. And for the dead, it’s the devil’s own day. This book blew me away. It’s definitely not for the faint hearted or those with a weaker constitution. It’s detailed and quite graphic about injuries etc. this historical thriller/account whatever you want to pigeonhole it, is well written, stylishly told and addictive. The story weaves together a number of characters and without giving too much away, we see the dichotomy in each character, the good they do vs. the bad. This is a tale of humanity I think as I kept flashing back to the word humanity whilst I was reading it. The text was rich using words such as frowsy and borborygami. There was a fair amount of medical jargon too which I had no trouble with but a lay person may have struggled through. I found the medical beliefs of the day difficult reading a times and the sheer numbers of loss on a battlefield from infection, infestation and lack of hygiene were disturbing but a stark reality of the time. I loved the way the story unfolded and the characters were very engaging. Cuuda provided the mystery, Jupiter was the snake oil salesman with a twist and I found myself rooting for Jersey and Ezra to make it. A really engaging book which makes you realise how lucky we all really are with the way medical science has identified simple pathogens and safe measures to avoid preventable infections and complications and the swift nature of triage both on and off the battlefield for those of us who live in a developed society. Next Next post: Blog exclusive: Sally Has Been Spayed!